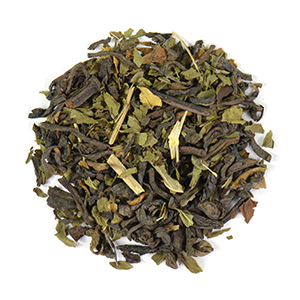 Puerh tea, Peppermint leaves, Natural flavor. 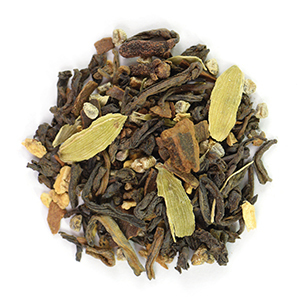 Puerh tea, Cinnamon pieces, Cardamom, Ginger pieces, Cloves, Natural flavor. 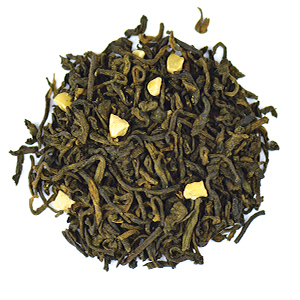 Pu'erh tea, Almond pieces, Natural flavors. Contains: Almonds. May contain other tree nuts. 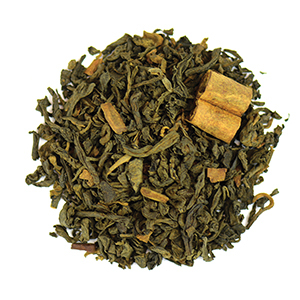 Puerh tea, Cassia bits, Cinnamon sticks, Natural flavor. 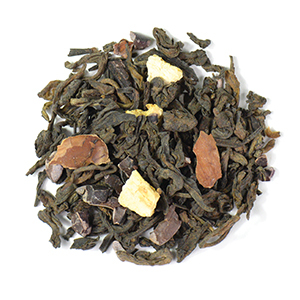 Puerh tea, Cocoa bean pieces, Orange peels, Natural flavors. 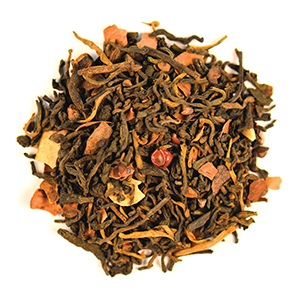 Pu'erh tea, Cocoa bean pieces, Cloves, Star anise, Natural flavors.